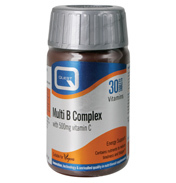 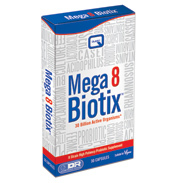 Quest Ubiquinol Qu10 + Vitamin B6 contains synergistic vitamin B6. 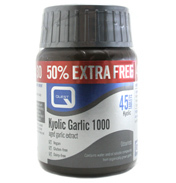 This contributes to normal energy yielding metabolism and to the reduction of tiredness and fatigue. 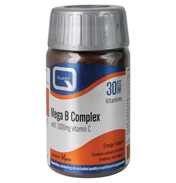 Ubiquinol Qu10 provides 100mg of Coenzyme Q10 in the highly bio-available ubiquinol form. 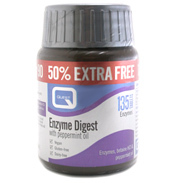 Coenzyme Q10 is found naturally in cells throughout the body particularly in the mitrochondria which are involved in cellular energy production. Ubiquinol Qu10 contains synergistic vitamin B6 which contributes to normal energy-yielding metabolism and to the reduction of tiredness and fatigue. 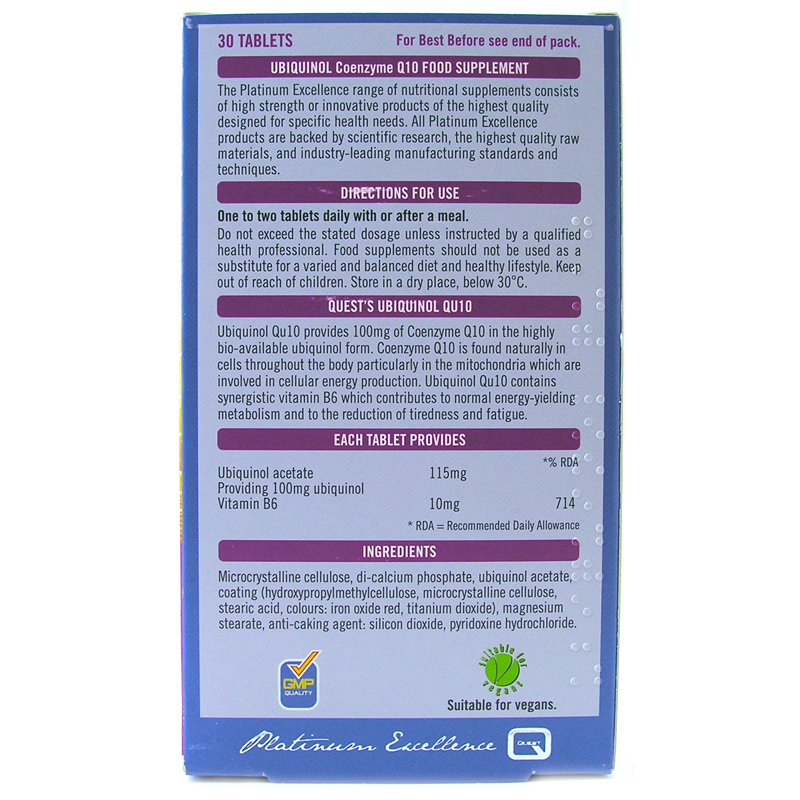 Ubiquinol Qu10 provides 100mg of Coenzyme Q10 in the innovative ubiquinol acetate form. Ubiquinol acetate provides a higher bio-availability of ubiquinol in a stabilised form. 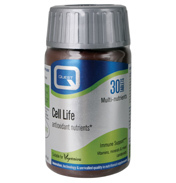 Co Q10 is found naturally in cells throughout the body particularly in the mitochondria which are involved in cellular energy production. 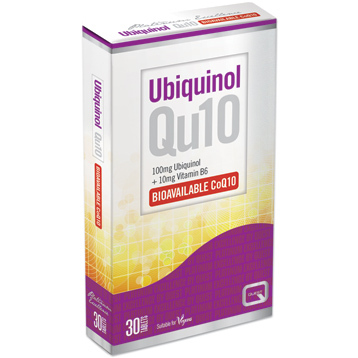 Ubiquinol Qu10 contains synergistic vitamin B6 which contributes to normal energy yielding metabolism and to the reduction of tiredness and fatigue. 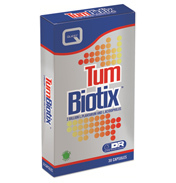 Take 1-2 tablets daily with or after a meal.